The Drive Home team is heading west from Charlotte for a long, 400-mile push through Knoxville and onto Nashville. 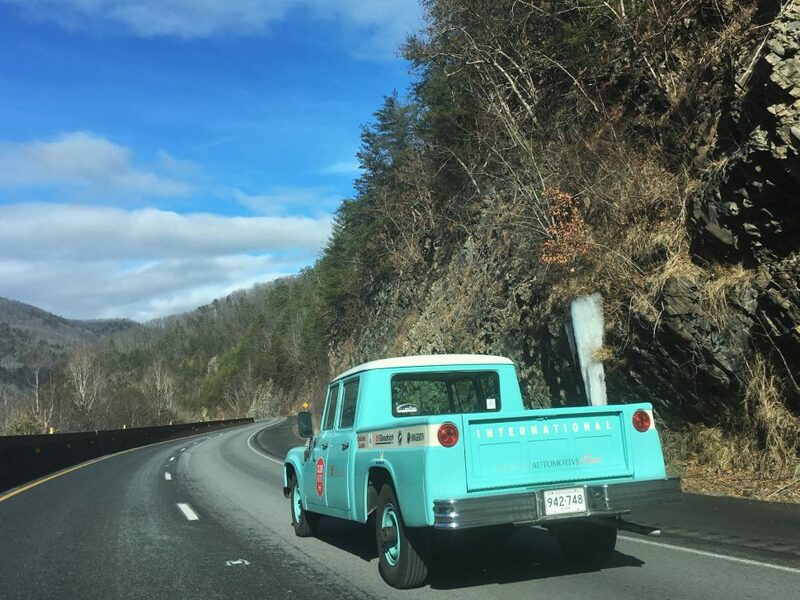 It’s a shame that we are flying past some of the country’s best driving roads around the Smoky Mountains, but we have a tight schedule to keep if we want to stay ahead of the weather and deliver our six classic cars to the North American International Auto Show on time. There’s just enough moisture on the roads this morning to make things a little slick, and I’ve been shanghaied back into the El Camino’s right seat, with Diane Flis-Schneider from the Concours d’Elegance of America taking the wheel. She confided that the other cars have been avoiding the fume plume the truckster leaves in its wake, so it seems that others can corroborate the Chevy’s ill-burn situation. Click here to read the rest on Hemmings Motor News. ← A Diary From The Road – Day 6: Every Day Better Than The Last!